Mini has a lot of clothes.Fact. As the first grandchild,great-grandchild & niece on BOTH sides of the family the words ‘spoiled rotten’ don’t even come close to describing her! She has more clothes in her wardrobe than I do. So much in fact that some outfits she only gets to wear once before she outgrows them. And sometimes, she very nearly misses out on wearing them altogether. That was the case with this lovely wee knitted robe from France which I only found at the bottom of her chest of drawers this morning. 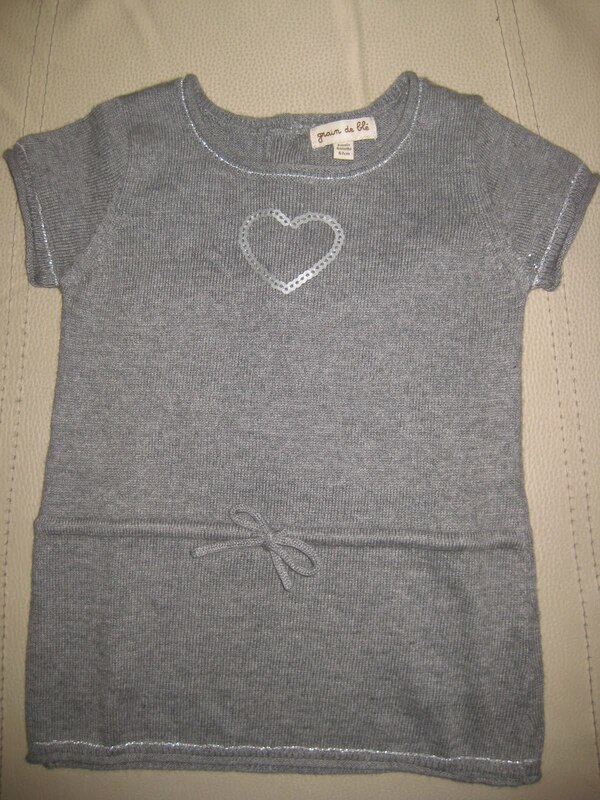 It’s for age 6 months and the French clothes are a little smaller than the Irish ones so already its too small for her to wear as a dress but will make a lovely top combined with jeans for her visit down to Cork this weekend.